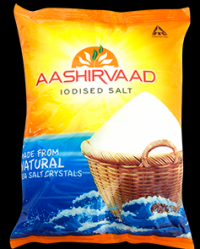 As per our standard procedure, we undertook market research to identify the popular and regular-selling brands of iodised salt across the country. All the brands selected for testing were evaluated and graded as per their overall performance based on the comprehensive laboratory results. The grading has been done based on the international grading system. 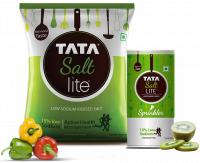 Two brands, Saffola (Less Sodium) and Tata Salt Lite (Low Sodium), claim to be proprietary – this means FSS Regulations and relevant Indian Standards are not applicable. 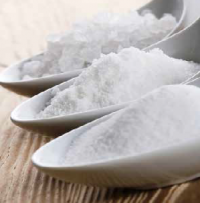 There are no specifications for low-sodium salt in the national standards. The key parameters for which the samples were tested included sodium and iodine content, water insoluble matter, moisture, alkalinity and particle size. We also conducted tests for presence of heavy metals (lead and arsenic). Iodine is a trace mineral that makes thyroid hormones, which are essential for normal growth and development of human body. About 70–80 per cent of iodine is found in the thyroid gland in the neck and the rest is distributed throughout the body, particularly in the muscles and blood. If our body does not have enough iodine, hypothyroidism – low thyroid hormone levels – can develop. Symptoms of hypothyroidism include sluggishness or fatigue, weight gain, dry skin, and sensitivity to temperature changes. In infants and children, hypothyroidism can affect physical and mental development. Some people with hypothyroidism develop an extremely large thyroid, known as goitre. Deficiency of iodine can cause diseases like mental retardation, goitre and cretinism. In fact, without enough iodine a newborn’s brain and body can become permanently retarded and stunted. Iodine is vitally needed during early childhood, puberty, pregnancy and lactation. A woman who is deficient in iodine is likely to produce an abnormal child. If left untreated, the child’s mental and physical condition worsens as s/he grows older. 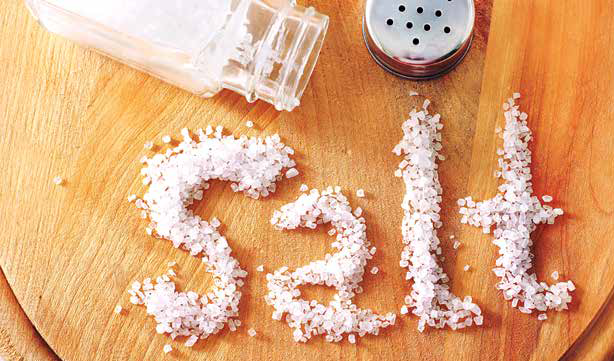 Being the main source of sodium, a small amount of salt is important for good health. It helps in maintaining the correct volume of circulating blood and tissue fluids in the body. But when consumed in large amounts, salt makes this ‘correct volume’ its first victim. When the salt levels are too high in the body, kidneys cannot keep up and let salt enter one’s bloodstream and creates hypertension in the body. Too much salt in the blood also causes water retention as salt draws more water into the blood. This further raises the blood pressure. World Health Organization (WHO) recommends less than five grams (about one teaspoon) of salt per person per day. Remember that many processed and convenience foods, preserved foods, and sun-dried foods as well as canned foods contribute to higher intakes of salt. 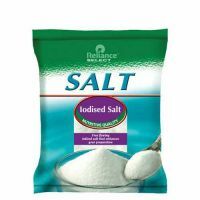 In the refined iodised salt category, sodium/sodium chloride was found highest in Tata and Nirma. 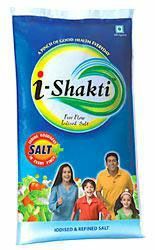 ISI-marked brand Fresh & Pure did not meet the requirement for sodium/sodium chloride. 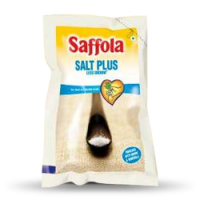 Proprietary brands Saffola Less Sodium and Tata Low Sodium were found not meeting their claims for sodium. 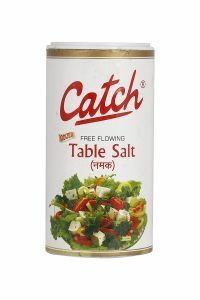 Saffola had 36.77 per cent against their claim of 35.3 per cent, and Tata Low Sodium had 37.38 per cent against the claimed 33.2 per cent – thus, their claim for less sodium is not true. 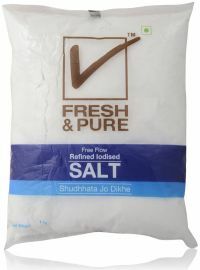 Refined iodised salts Fresh& Pure and Patanjali failed to meet the requirement for moisture specified in Indian Standard even though they are both ISI-marked. Brands Tata I-Shakti and Tata Salt also did not meet this requirement as per Indian Standard. 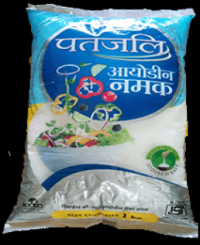 ISI-marked brands Ankur Gold and Fresh & Pure failed to meet the requirement for matter soluble in water other than sodium chloride. Tata I-Shakti also did not meet this requirement. 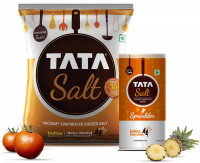 Tata Salt Plus (double-fortified) was found to have slightly less iodine (14.83 ppm) against the requirement of 15 ppm. 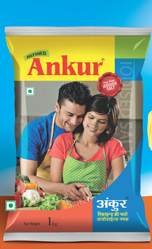 This brand also failed to meet the requirement for iron as per FSS Regulations and IS: 16232. You can see list of our CV Comparitive Test Iodised Salt below, perform Side-by-Side comparison. If you need further help, do have a look at Conzumr Guides and Tips. Alternatively you can view all Iodised Salt to choose your own favourites.